Grand Blanc Handyman Services! Painting, Deck Staining, Deck Repair, Glass Repair, Kitchen Bath Repairs, Audio Visual Home Theater Repair, Window Door Repairs, Mailbox Replacement Repair Service, Stove Oven Range Repair, Mirror Replacement, Basement Painting. Call Us Now! Grand Blanc Handyman has over 30 years combined maitenance experience with Mailbox Repair and Replacement Service in the Grand Blanc, Mi area! We are here to serve you with any mailbox repair including Wood Mailboxes, Steel Mailboxes, Temporary Mailbox Repair in the Winter, Complete Mailbox repair including digging below the frostline, Installing the best strudy mailbox poles, and using the finest extra strength concrete! If you have a mailbox that was destroyed during the winter when the ground is frozen, we specialize in temporary mailbox repair service to get you through the winter so a new mailbox can be installed. 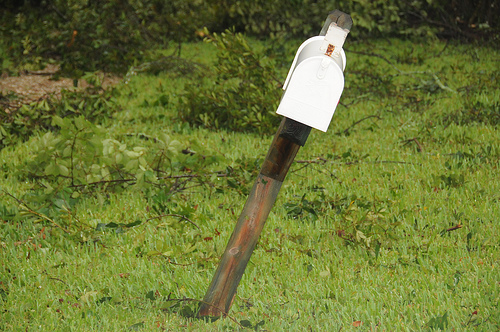 Whatever your mailbox repair, give us a call we are here to service you! We offer free estimates in person and many of our referrals come as word of mouth referrals as we always put the customer first. If there is even any job we can't handle for any reason we are there to offer a reliable referral to get the job done fast with your complete satisfaction our focus! Give us a call now at (248) 210-9155 . Contact Grand Blanc Handyman Services for All Your Mailbox Repair or Replacement needs in the Grand Blanc Mi Area!